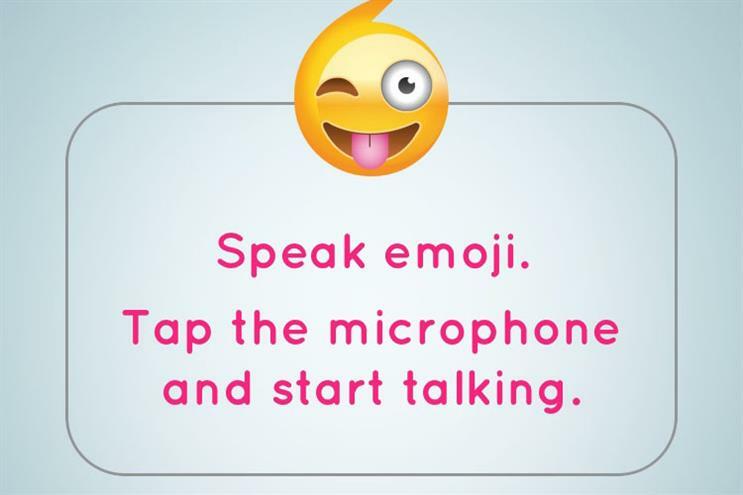 SapientNitro is helping parents communicate with their children through an emoji translator. SpeakEmoji is a response to the growing number of millennials opting to communicate via emojis. It translates speech into emojis, which the user can share via social media, email or SMS. If the recipient replies with emojis, the app will convert it into text. SapientNitro has also created a humorous film to promote the app, which shows a middle-aged man dressed in a mustard jumper, brown leather waistcoat and white skinny jeans who thinks he is cool. He explains he used to be so uncool that his kids wouldn’t talk to him, even if he yelled. But now that he is using SpeakEmoji, they are "besties". Mark Hunter, the executive creative director at SapientNitro, said: "Technology has revolutionised the way we communicate many times in the past, and with the rapid rise of emojis we’re seeing it again. "In the blink of an eye we’ve gone from DIY emoticons to thousands of fully animated faces and symbols at our fingertips. Indeed, what we’re witnessing is the birth of a new, universal language. And what could be more perfectly suited for our digital age than that?!" SpeakEmoji is available through the web and as an app.